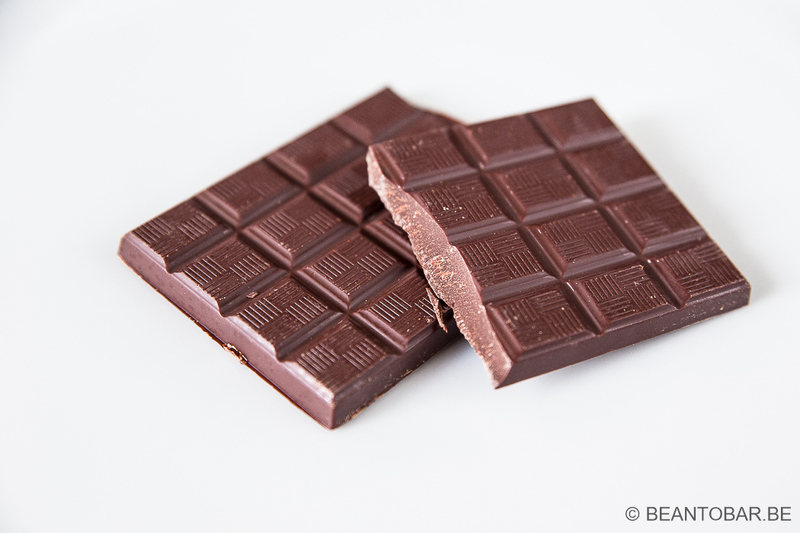 Real chocolate isn’t a mass product. It is an idea that still has to reach a lot of people. Even on during the Salon Du Chocolat in Brussels, it became clear that bean-to-bar chocolate is still unknown to a lot of people. Luckily there is an ever growing group of chocolate makers who prove just how important every step in the actual chocolate making process is, if you want to turn quality cocoa into a flavorful bar instead of a flat mass product. 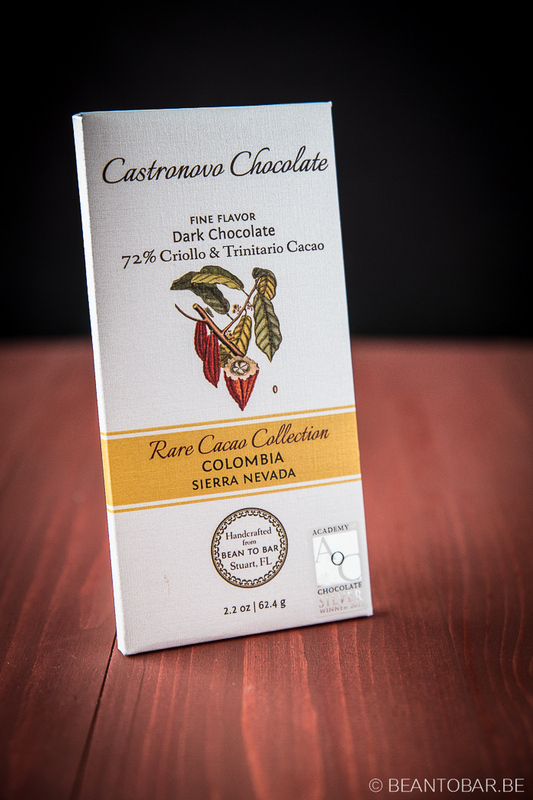 Castronovo chocolate, based in Stuart Florida, United States is a prime example of this movement of chocolatiers. They take the entire chocolate making process into their own hands, starting by buying Heirloom cocoa from remote areas around the globe. For this bar, they use a mix of cultivated Trinitario cocoa and handpicked wild Criollo cocoa, collected in the Sierra Nevada de Santa Maria in Colombia. The packaging of the chocolate is gorgeous. It has a premium look and show all the info I like to see when getting origin chocolate. The percentage, the bean variety, the origin. A small sticker in the right bottom corner shows it received a silver award from the Academy of Chocolate in 2015. This raises the expectations even more. Flip the box and the batch number is noted in hand writing. A nice touch. Inside the box, you will find the chocolate bar in an aluminum foil, but with a nice twist as a Castronovo sticker is used as seal. The bar looks nice, scored in small pieces with an extra stripe pattern on top. The pieces are small, so you once more get the feeling this is so much more than a standard chocolate bar. At 62,4 grams, it isn’t the heaviest bar in the scene, but not the lightest either. I like this type of weight as it offers enough chocolate to really appreciate the product. So let’s move on to the most important part. How does it taste? 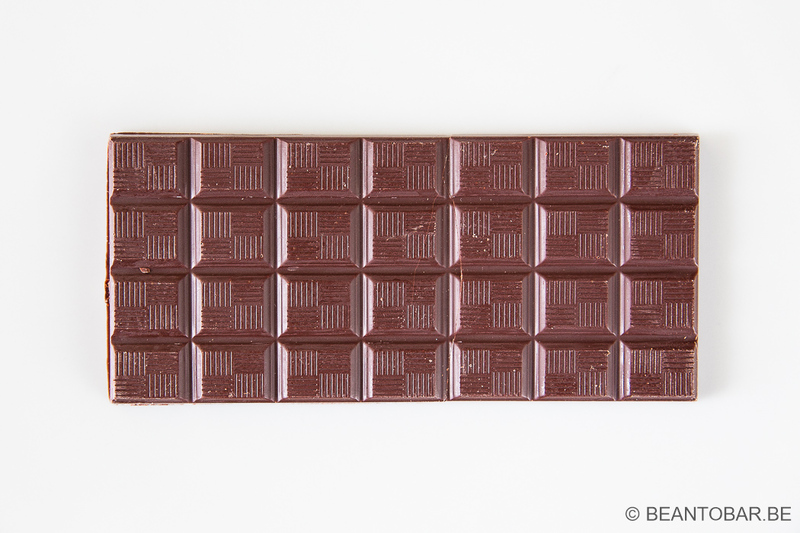 Taste: A swift and sweet start marks this chocolate. Brown sugar and chocolaty notes run over the palate with slight tannins mingling in after a while. This is followed by a building release of gentle yellow fruit acidity. Clear yellow raisin and dried apricot. The chocolate has a refreshing feel in the mouth. A flash of caramel and roasted nuts come forth later on, while the fruits keep hanging around, but less pronounced. A wine like tannin moving in, marks then end of the melt but is kept nicely in check. The aftertaste reveals a nice spiciness, where I detected cinnamon for a moment and keeps focusing on the roasted flavors from the main flavor. It keeps rolling in the mouth for a very long time, while not being overwhelming. The chocolate melts very well, has an excellent texture, shines beautifully and a very nice snap on breaking. Signs of the fact that the chocolate maker used quality cocoa and treated it with the highest care. This results in a warm chested chocolate, gentle and very flavorful and offering a nice complexity to keep it interesting all through the tasting. From a taste perspective it borders the flavor of quality, high percentage milk bars. It could very well win over devoted milk chocolate lovers and turn them over to the “dark side”. This sort of amazing bars shows why the US scene is so highly praised in the bean to bar world. It is the kind of chocolate that puts a smile on the face of every origin chocolate lover.